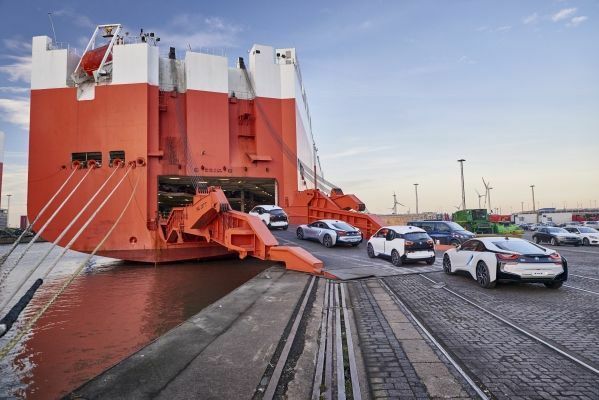 The BMW Group is the first automobile manufacturer worldwide to join the Ship Recycling Transparency Initiative (SRTI). This independent platform, launched in March 2018 by the Sustainable Shipping Initiative, aims to improve measures, transparency and awareness relating to the issue of ship recycling. The move signals the BMW Group’s commitment to more sustainable organisation of transport logistics. The BMW Group has always developed sustainable recycling processes within the company – especially in the area of vehicle recycling. To gradually increase recycling rates, the company tests recycling concepts for new kinds of vehicle components on an ongoing basis at its Recycling and Dismantling Centre. The BMW Group also works with research institutes and suppliers to further implementation of new recycling technologies. With its "design for recycling" principle, the company aims to ensure that components can be returned to the material cycle wherever possible at the end of a vehicle's lifecycle.